In my corner of Arizona winter is a fickle thing. Warm and sunny, snowy and cold, rainy and warm and sometimes that is in the same day. Now, add dramatic changes in elevation with short drives and you can almost pick your season. This morning the temperature is hovering right at the freezing mark, the wind is blowing, there is a dusting of snow on the Jeep, and the road in front of the house is a sheet of ice shimmering under the street lights. Barney the wonder truck with a coating of snow. Snow in Kingman is a relative rarity and substantial snows are something experienced two or three times in decade. Even when we have the heavier snows there is seldom a trace of it just two or three days later. To be honest I find a snow in the desert rather refreshing. It transforms the landscape and with the exception of the beauty of a summer thunderstorm building over the mountains, it is one of the most awe inspiring times to be in the desert. In a nutshell, during an average winter we get just enough snow to be enjoyable but not enough to be miserable. And unlike in northern Minnesota or Michigan, you can make a short drive and adjust your season. Twelve miles south in the Hualapai Mountains you can bet money the road is closed as a result of snow and ice this morning. My brother-in-law, a blade operator for the county, is going to be very busy this morning. I wouldn’t recommend driving east on Route 66 or I-40 right now as I am quite sure that by the time you reach Peach Springs or Seligman the roads are an ice skating rink covered in snow. Driving west or north to Las Vegas would be a different story. Along the Colorodao River, thirty miles to the west, the roads will be wet but the temperatures will be at least a dozen degrees warmer. In the months of summer you can reverse this. Drive to Needles, about seventy miles, for sheer misery – temperatures exceeding 120 degrees and humid. 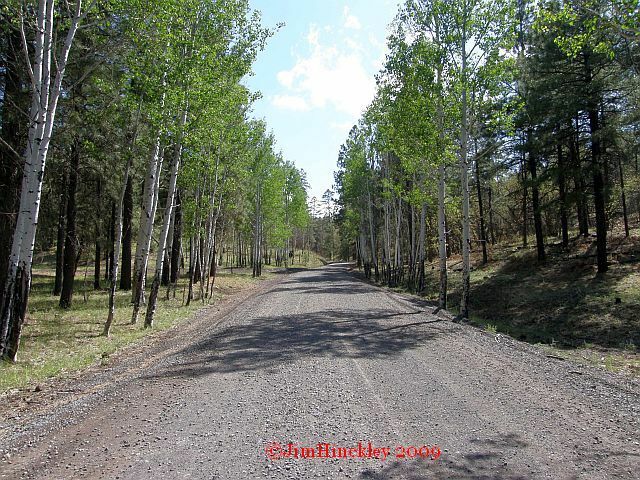 Drive south to Hualapai Mountain Park and you can walk among the pines, head east and in about 120 miles you can be in deep forest where I have seen a touch of ice on the water during a 4th of July camping trip. 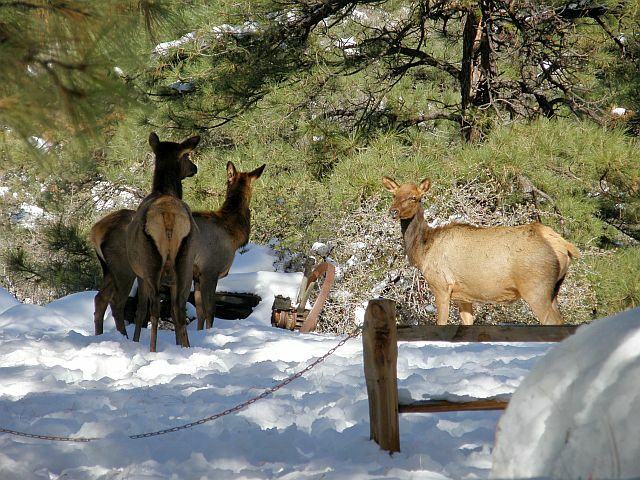 For first time visitors to Arizona it is the deep forests and the dustings of snow that are most surprising. The ideal implanted in most minds, largely the result of more than a half century of Technicolor epic horse operas, is that this state is a land of sun scorched rock where lizards and snakes seek shelter from the blazing heat. Imagine this if you will. If I were crazy enough to take to the road this morning and head east on Route 66 or I-40, there is a good chance we good find someplace to go ice fishing. Here is a nother tid bit, in the winter near Alpine they have dog sled races. Now, all of this is less than 200 miles from the desert valleys that embrace Phoenix! One more little winter tip. Just outside of Tucson, looming above vast fields of towering cacti, is the southern most ski resort in the United States. So, I suppose you could say that in Arizona, if you like winter sports and the sunshine, it is possible to have your cake and eat it to. Take care and if your motoring east along the old double six, it might be a good idea to spend a day or two in Kingman and wait for the return of spring.